Panasonic Bread Machine Mounting Shaft. 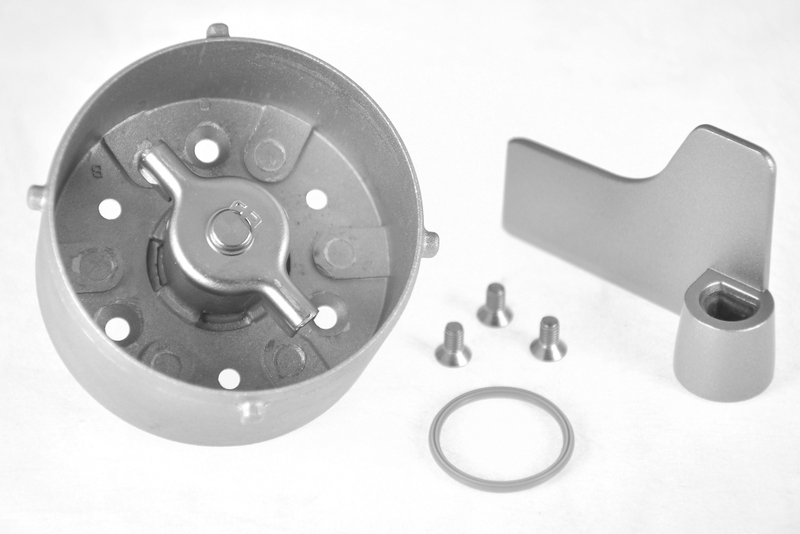 We have had a few instances of customers purchasing either mounting shafts or mounting shaft kit (kit.005) because the kneading blade has been loose on the shaft only to find that the new parts are exactly the same. The blade normally sits quite loosely on the shaft. It is designed with enough tolerance to allow for the non stick coating to be applied during manufacture. it doesn’t matter that it is loose because it is driven positively by the flat portions. The blade only turns in one direction so there is little chance for excessive wear. Even being loose we or Panasonic UK have never heard of a blade coming off of the shaft during operation. To that end we advise that as long as everything is working ok not be concerned that it looks to be loose. The main reason to change the mounting shaft is when the seal fails and allows mixture to seep through into the pan of if the bearing fails and it either seizes or makes excessive noise during operation. This entry was posted in General, Technical and tagged ADA29A115, panasonic bread machine, panasonic breadmaker, panasonic mounting shaft. Bookmark the permalink. 1 Response to Panasonic Bread Machine Mounting Shaft. I have used a Panasonic SD253 daily for years (best bread machine around!) and I can confirm that the blade does sit quite loosely on the shaft, this is normal and it does not affect the working of the machine.